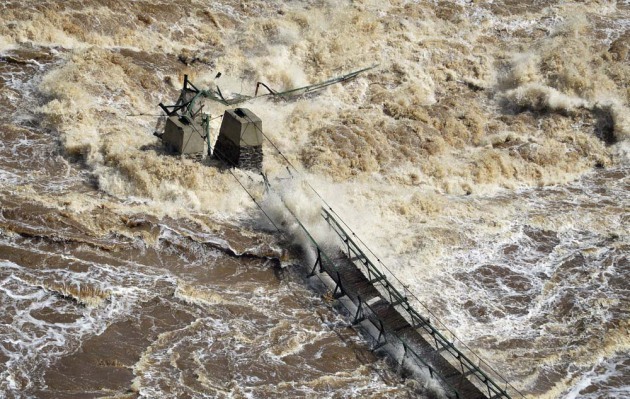 Here are a couple of photos that show the devastation of the flooding up north, specifically the swinging bridge at Jay Cooke State Park, which has been evacuated. The photo immediately below I took on a fall day a couple of years ago, while standing downstream of the bridge and while wading about knee-deep in the St. Louis River. The second photo below is an aerial shot taken Thursday by Star Tribune photographer Brian Peterson.